If you are starting with a new building, you might have more liberty with choosing how big you want your stairs to be and where you want to place them. For commercial buildings, how many people do you think will be going up and down the steps at the same time? For homes, would you like the stairs to be just wide enough for your hand to reach the hand rail easily, or do you want more open space? Will the space in your building allow for a straight flight or will you need to have a landing or turns? If you are renovating, we will need to get the dimensions of your existing stairs. You will have to decide if you want bigger stairs and if you are willing to rearrange existing furniture or fixtures near the stairs. This is the fun part. Do you want floating stairs with open risers? Or would you prefer a traditional staircase and balustrade? We have a wide range of designs you can choose from, but we can also work together to create customised stairs for you. 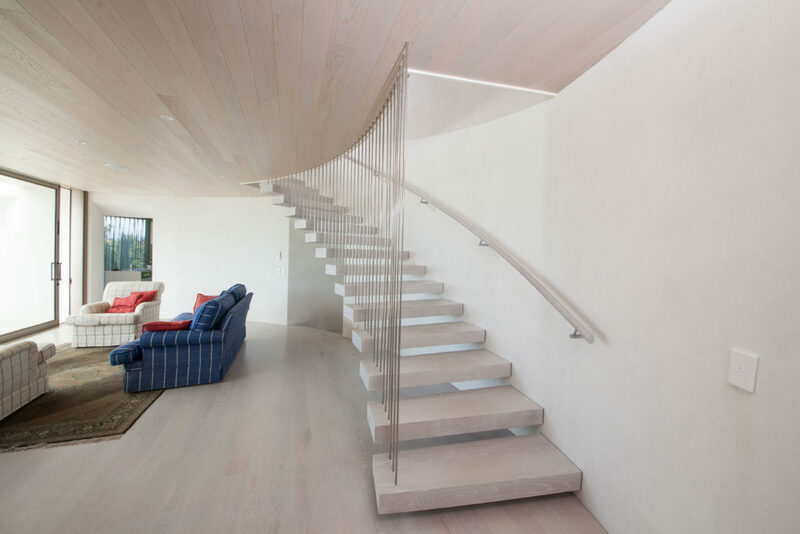 You can ask yourself, do you want your stairs to stand out or tastefully blend in? We can paint the stringer to match your surrounding décor or a contrasting colour to make it a statement. The timber treads can also be stained to match your timber flooring or choose a different finish to make your stairs the real wow factor! So if you have more questions on stairs, let us hear about it. With our years of experience in designing and building stairs, Ackworth House can help you.